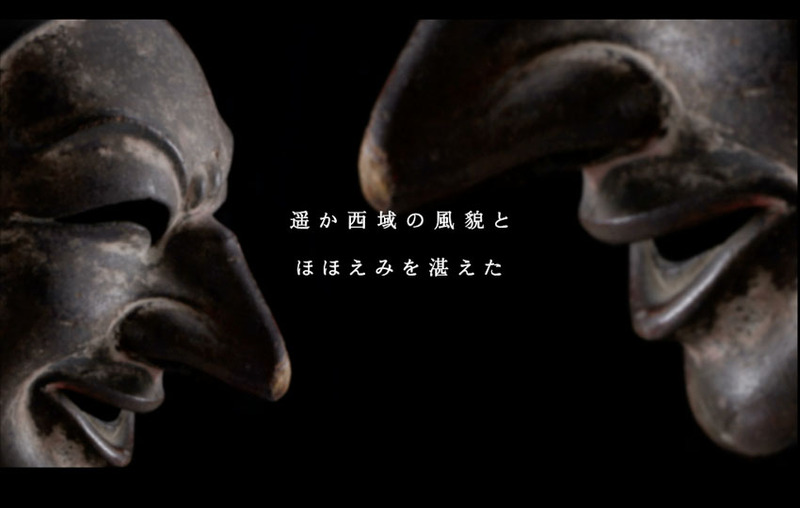 −“Life of Masks – Bugaku : Kasuga-taisha Shrine and Wakamiya Onmatsuri Festival” (11min./Written, photographed, filmed and directed by Miro Ito, Editorial supervision: Kasuga-taisha Shrine + Kan’ichi Kasagi) is being shown in the Kasugataisha Kokuhoukan Treasure House from Autumn 2018. 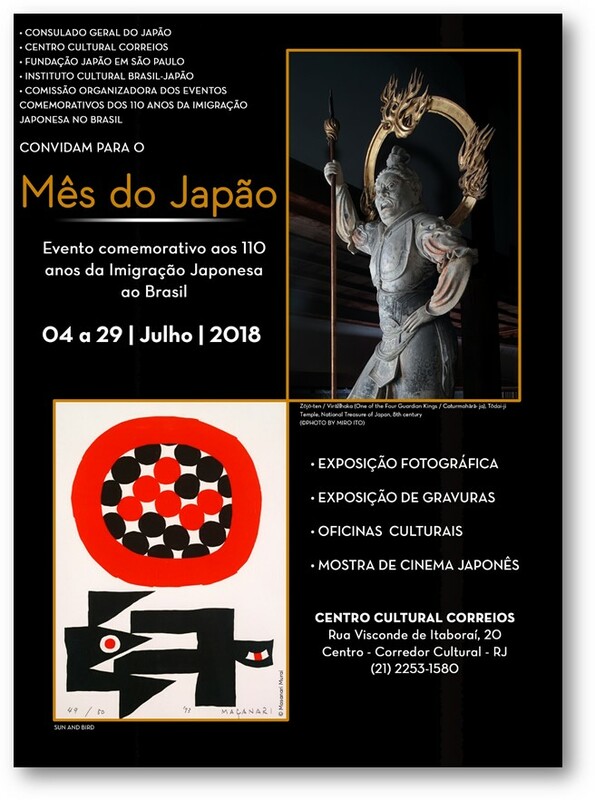 −”The Great Buddha Lives!”, “Gigaku: Road of Masks”, and “Life of Masks–Bugaku at Ka- suga-taisha Shrine and Wakamiya Onmatsuri Festival” were shown at the Japan Foun- dation, Toronto, during the “Artist’s Talk”, accompanying the exhibition, “Road of Light and Hope”, May 2017. 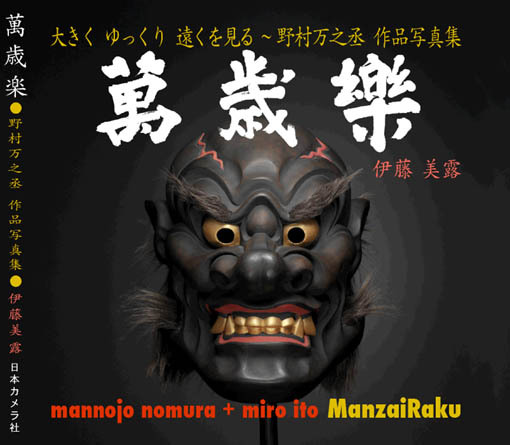 −”Gigaku: Road of Masks” (7.5 min./ Written, photographed and directed by Miro Ito, Editorial supervision: Kan’ichi Kasagi) was shown in the entrance hall of the Tōdaiji Museum. 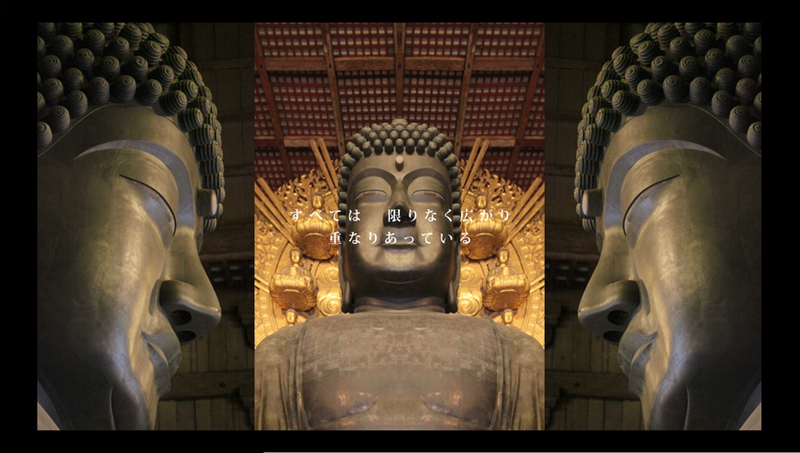 −”The Great Buddha Lives!” (7min./ Written, photographed and directed by Miro Ito, Editorial supervision: Tōdaiji Temple) is being shown in the entrance hall of the Tōdaiji Museum since 2011. 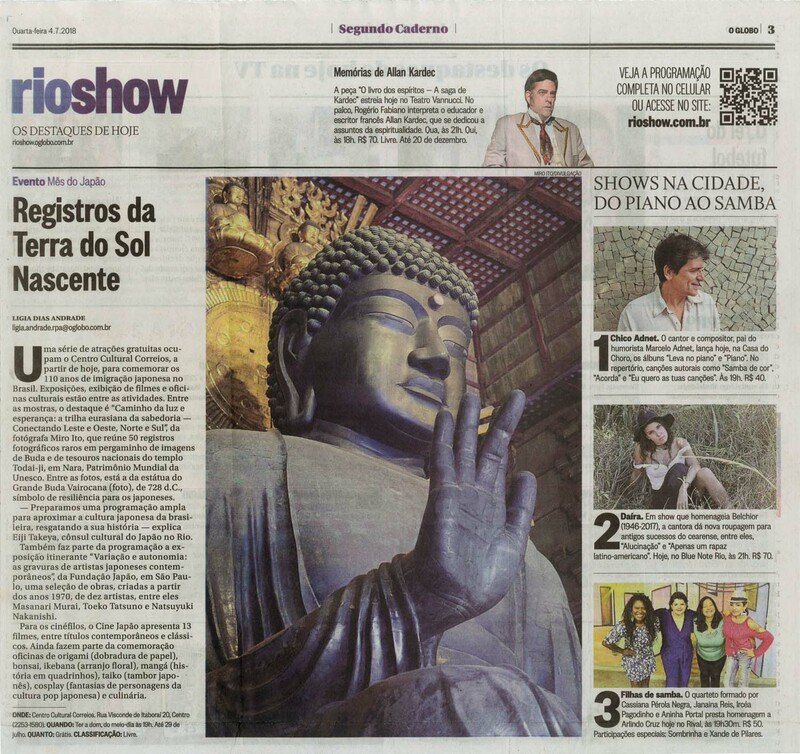 −”The Great Buddha Lives!” was shown at the 9th Great Buddha Symposium in 2010. −”The Great Buddha Lives!” + “Life of Masks — Bugaku : Kasuga-taisha Shrine and Wakamiya Onmatsuri Festival” were shown at the Canon EXPO Tokyo as well as the Commemorative Events of the 1300th Anniversary of Nara Heijō-kyō in 2010. 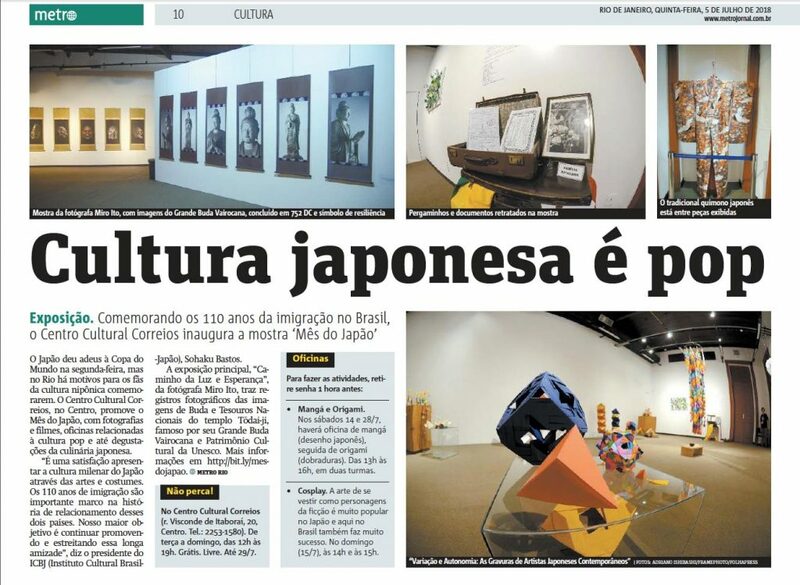 −“Road of Light and Hope: National Treasures of Japan – Photographs by Miro Ito”, the Centro Cultural Correios Rio de Janeiro as part of Month of Japan (Mês do Japão), 4th -29th July 2018, in commemoration of the 110th -year history of Japanese Immigration to Brazil (co-organized by the Consulate General of Japan, Rio de Janeiro/ Japan Foundation / Instituto Cultural Brasil-Japão (ICBJ) / Media Art League / Japan Camera Industry Institute). 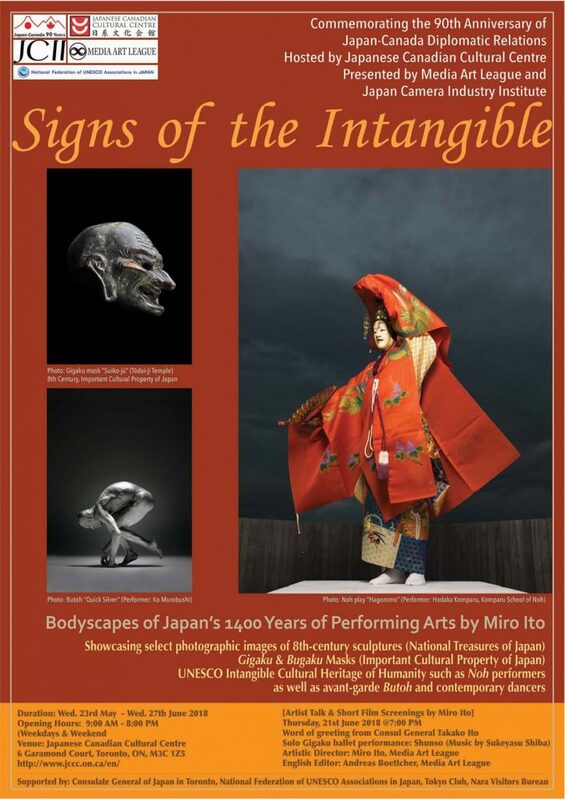 −“Signs of the Intangible: Bodyscapes reflecting Japan’s 1400 Years of Performing Arts”, May-June 2018 in commemoration of the 90th Anniversary of Japan-Canada Diplomatic Relations (Hosted by Japanese Canadian Cultural Centre in Toronto / Co-organized by Media Art League, Japan Camera Industry Institute / Supported by the Tokyo Club, Consulate General of Japan in Toronto, National Federation of UNESCO in Japan). −“Road of Light and Hope -National Treasures of Todai-ji Temple, Nara”, Japan Information Center, Consulate General of Japan, Chicago, November 2017 in commemoration of its 120-year history ( Hosted by Japanese Canadian Cultural Centre in Toronto/ Co-organized by Media Art League/ Japan Camera Industry Institute) . 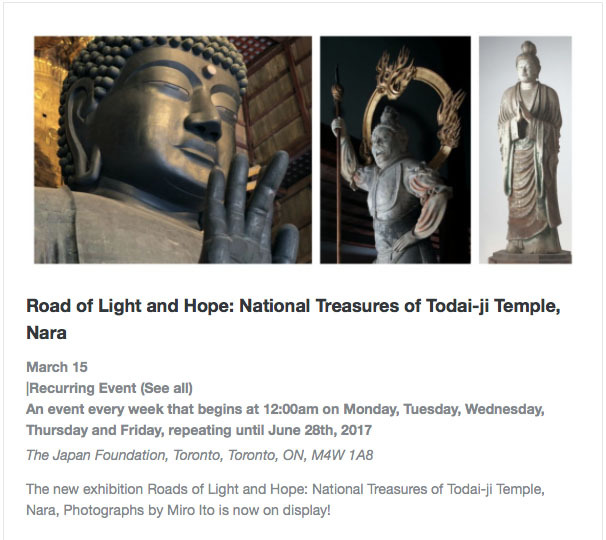 −“Road of Light and Hope: National Treasures of Todai-ji Temple, Nara”, co-organized by the Japan Foundation, Toronto / Media Art League / Japan Camera Industry Institute, the Japan Foundation, Toronto, Canada, March – June 2017. −“Road of Light and Hope (Photo exhibition of National Treasures and Important Cultural Property of Japan)”, co-organized by the Consulate of General of Japan in Strasbourg /Media Art League / Japan Camera Industry Institute, the Council of Europe + Lieu d’Europe (exhibition pavilion), Strasbourg, France, 2016. −Road of Light and Hope: The Eternal Cosmopolitanism Weaving Along the Silk Road (Photo exhibition of National Treasures and Important Cultural Property of Japan)”, co-organized by the Academy of Arts of Uzbekistan / Japan Camera Industry Institute, supported by the Embassy of Japan in Uzbekistan, the International Caravanserai of Cultures of Ikuo Hirayama, Tashkent, Uzbekistan, 2016). 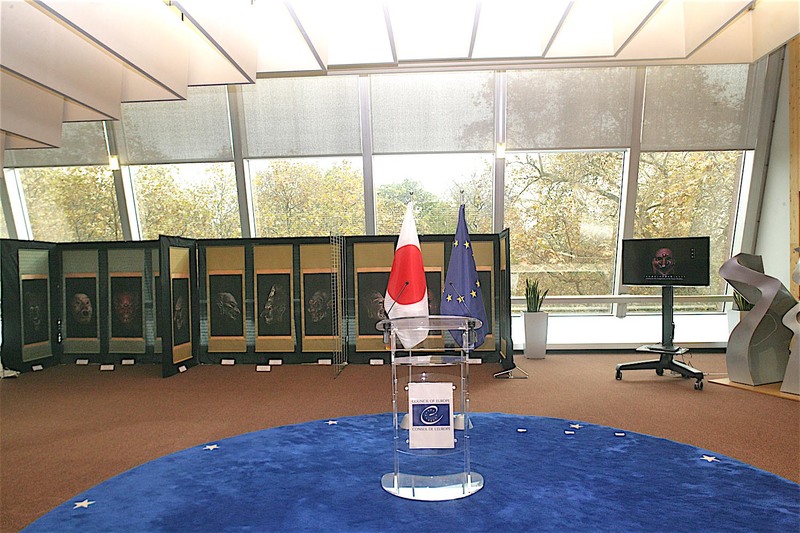 −“Road of Light and Hope: The Cosmopolitanism Embodied in the Great Buddha & Sculptures of the Tōdaiji Temple (Photo exhibition of National Treasure of Japan)”, co-organized by the Permanent Mission of Japan to the United Nations /Media Art League / Japan Camera Industry Institute, the United Nations HQ, New York, 2016. 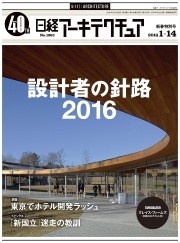 −“Photo Art by Miro Ito: Tōdaiji Temple’s National Treasure Nikkō Bosatsu & Gakkō Boasts”, 2015 Int. Home Care & Rehabilitation Exhibition(NCC booth) at Tokyo Big Sight Exhibition Center. 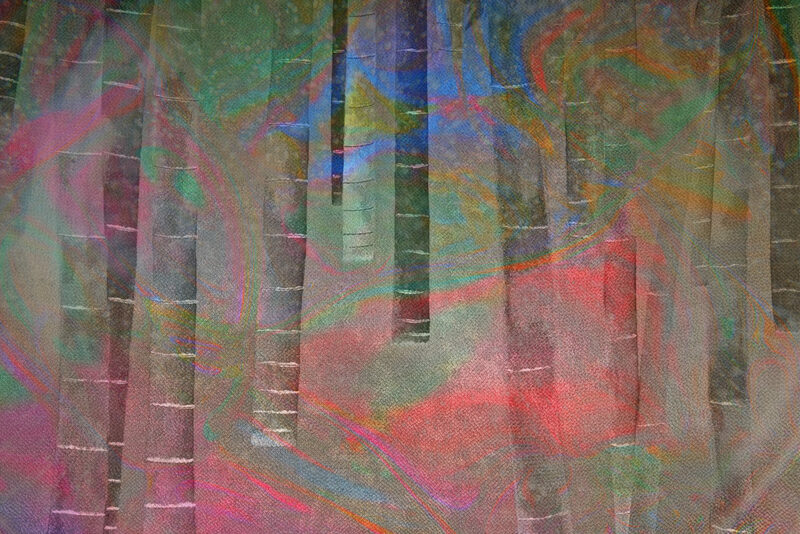 −“Photo Art by Miro Ito: Tōdaiji Temple’s Important Cultural Property of Japan – Senju Kannon Boastsu”, 2014 Int. Home Care & Rehabilitation Exhibition (NCC booth) at Tokyo Big Sight Exhibition Center. −“Gigaku Masks of Tōdaiji Temple + Bugaku Masks of Kasuga-taisha Shrine”, organized by the Nara prefectural government, Nara Mahoroba-kan, Tokyo, 2010. −“Road of Light: Ancient Route of Prayer and Dedicatory Arts in Asia”, Canon EXPO Tokyo, supported by the Association for Commemorative Events of the 1,300th Anniversary of Nara Heijō-kyō Capital, 2010. −“Men at Dance — From Noh to Butoh: Japanese Performing Arts, Past and Present“: New York Public Library for Performing Arts, Lincoln Center (2007-2008) as a tie-in exhibition to the 2007 NY Butoh Festival, funded by the Japan Foundation, supported by the Consulate General of Japan in New York, New York. 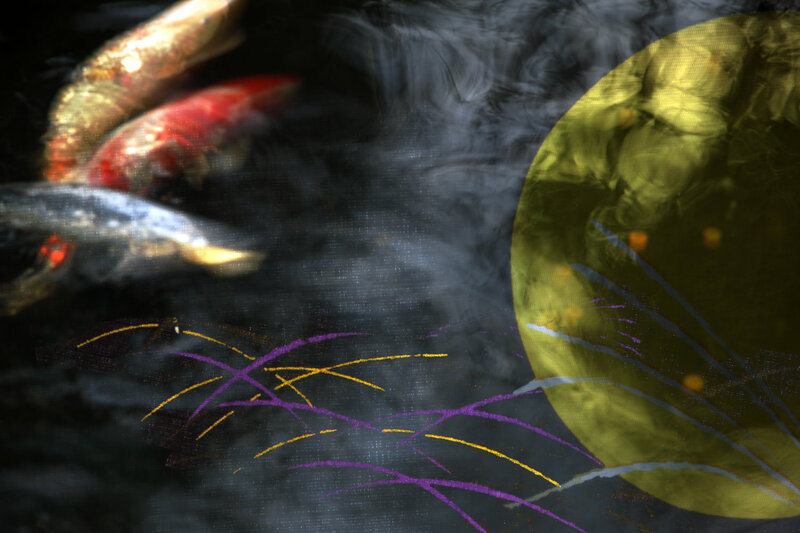 −“Masks, Performance, Life’s Energy: Visitor from Past and Future– featuring Mannojo Nomura” on the 1st anniversary of his death, Canon S Tower, Tokyo, and two other venues, 2005. −“Mannojo Nomura’s NipponGaku — Traditional Japanese Dance and Performance“, Japan Camera Industry Institute (joint exhibition series with Mayumi Moriyama, Chairperson of JCII, & Japanese Minister of Justice [2001 – 03], Minister of Education [1992-93]), Tokyo, 2004. 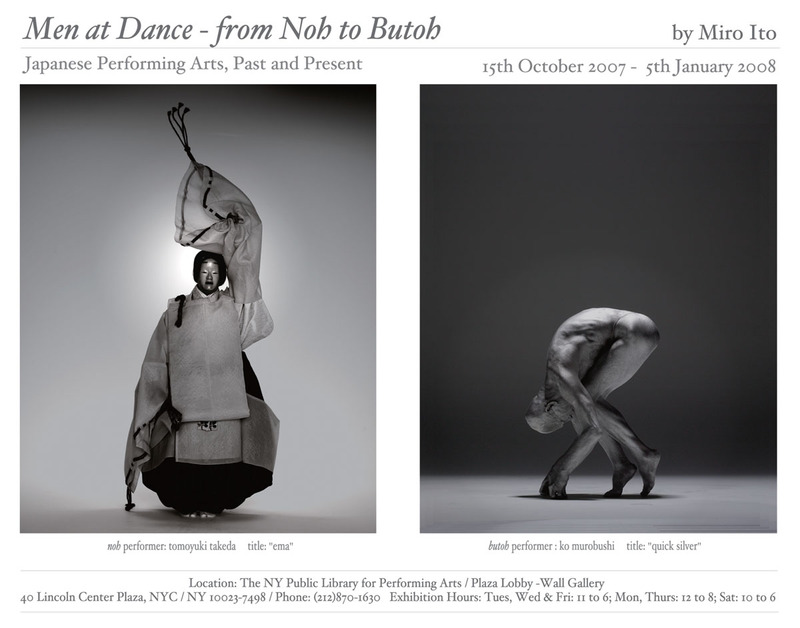 −“Monochrome Digital Bodyscapes“, Canon Salon (Tokyo / Osaka / Nagoya), 2003. 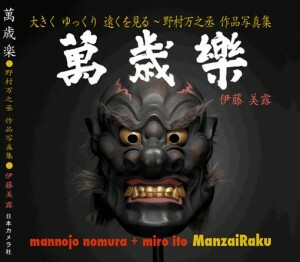 −“Mannojo Nomura’s Mask Road“, Japan Camera Industry Institute, Tokyo, 2003. 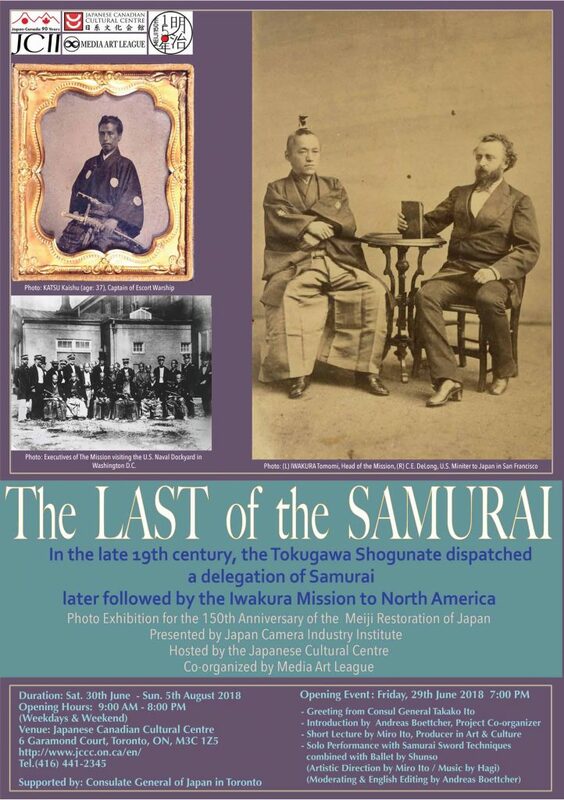 −“The LAST of the SAMURAI”, Japanese Canadian Cultural Centre, Toronto, June-August 2018 in commemoration of the 90th Anniversary of Japan-Canada Diplomatic Relations (Hosted by Japanese Canadian Cultural Centre in Toronto / Presented by Japan Camera Industry Institute / Co-organized by Media Art League). −“The LAST of the SAMURAI”, Japan Information Center, Consulate General of Japan, Chicago, April 2018 in commemoration of its 120-year history (Hosted by Consulate General of Japan, Chicago / Presented by Japan Camera Industry Institute / Co-organized by Media Art League). 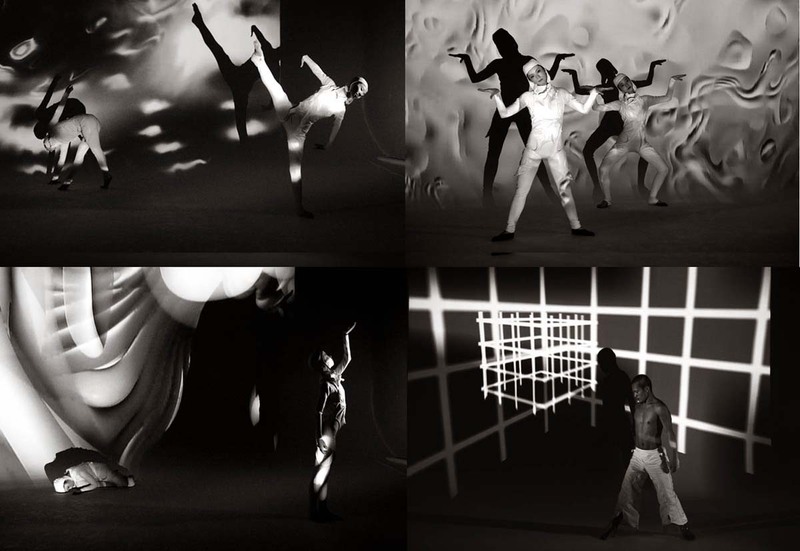 Images of Ko Murobushi were used as official posters for several international dance festivals including Vienna, London, etc. 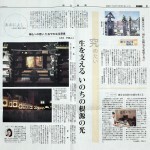 “Asahi Camera”, “Commercial Photo”, “Monthly Cameraman”, “Monthly Shahin Kogyo”, “Spur”, “Esquire Special Edition: Luca”, “Mainichi Newspaper”, “Design no Genba”, “Prints”, etc. Visiting Nara is like a series of gem-like experiences where the tangible and the intangible interact with each other, whether it is peoples’ hearts or minds. 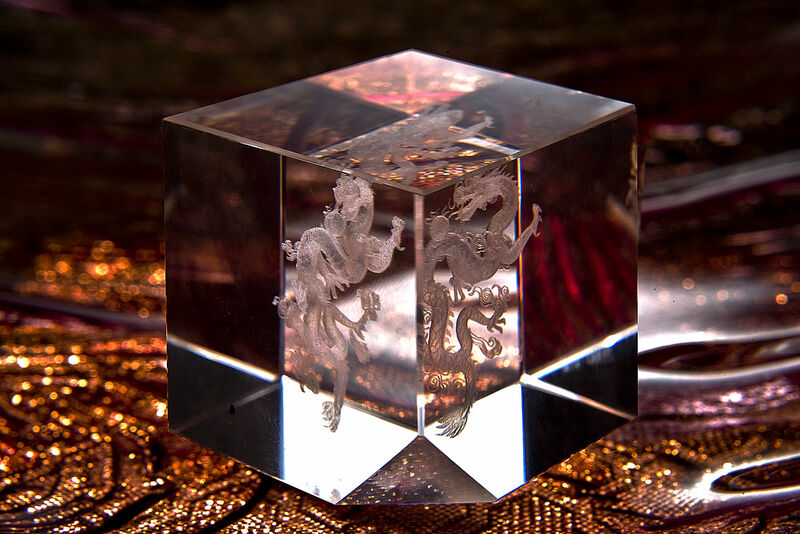 Amidst the 1300 year tradition, —first, a gift of the kami and Buddha, and secondly, the fruits of human skills and perseverance—, our heart encounters kami and Buddha, resonating through the past, present and future. 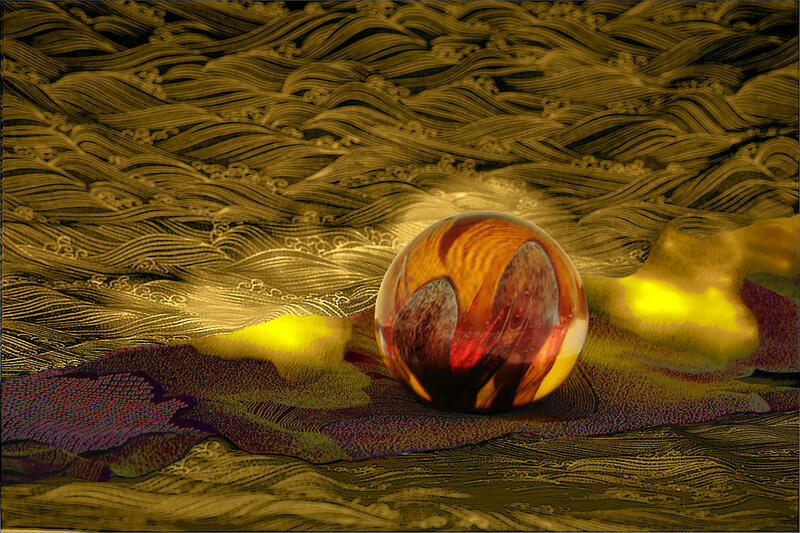 I myself have pondered the question how to lead my life, which was instrumental in my going to Germany where I became a photo artist and art pundit. In the absence of absolutes in our transient lives, I came to sense “the eternal present” in the medium of photography, which can similarly be found in haiku-verses of the poet, Basho Matsuo. 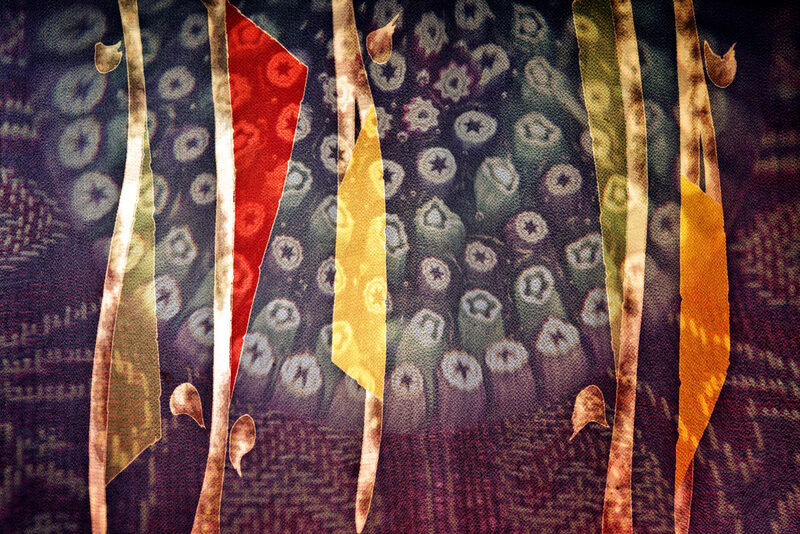 Since then, through photography I sought to encounter the fundamentals of life, which are par se synonymous with sparks of the intangible, sacred world lying in the abyss of the “seen” world. Subsequently, I emigrated to the USA where I experienced the events of 9.11. Through my incessant quest for the fundamentals of life despite its fragility and transience, I encountered Nara. What sustains my life is the prayer itself. 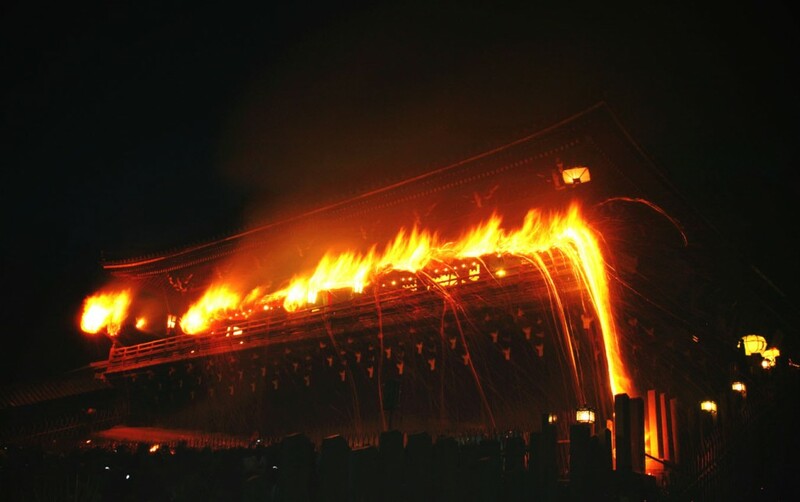 In every 15th of August, the Manto-kuyo (Festival of Ten Thousand Lanterns) is held in the Todaiji Temple, when the small double-doors in front of the face of the Great Buddha are to be open. Against the background of the deep blue sky in the twilight, the Great Buddha’s golden face emerges in resplendent light. The Great Buddha statue is the enlightened Buddha himself. 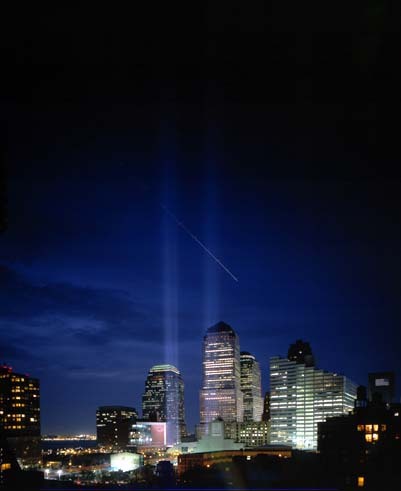 At the same time, this luminous giant statue symbolizes the infinite light illuminating the universe. I sense this light as being omnipresent, enlightening our minds and heart; the Great Buddha is truly alive. On the other hand, we encounter the word at the Mantoro (Festival of Ten Thousand Lanterns) at the Kasuga-taisha Shrine. 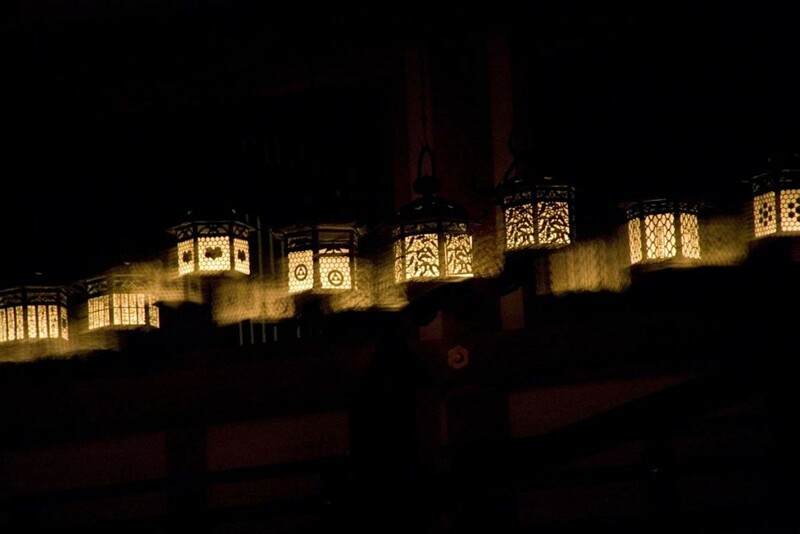 The lantern is but a small space between dusk-like darkness and shimmering brightness, transporting the thoughts of people from the past to the future. 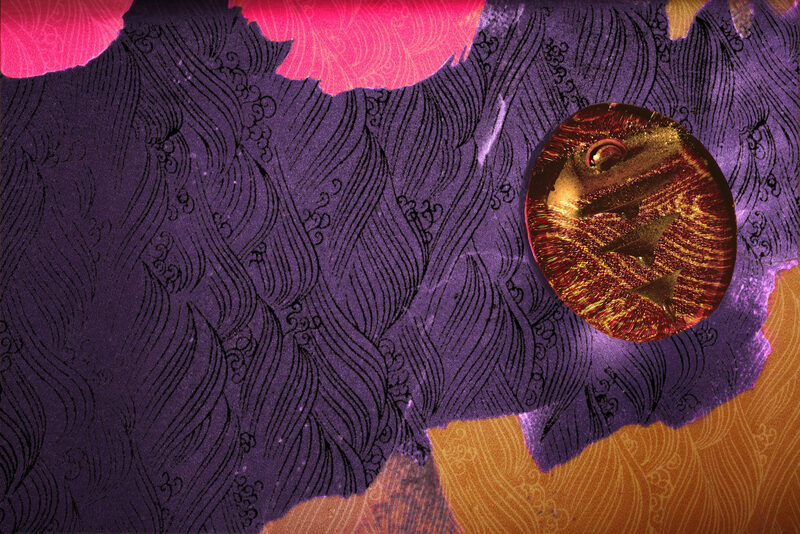 In glittering corridors of light, the lanterns set the stage for a rendezvous with the kami. When visiting Nara, we come to realize our lives themselves are no more than fleeting moments amidst the eternally changing and flowing cycle of life. If there is anything unchangeable, it would be the reverence of something sacred; whether kami or Buddha. 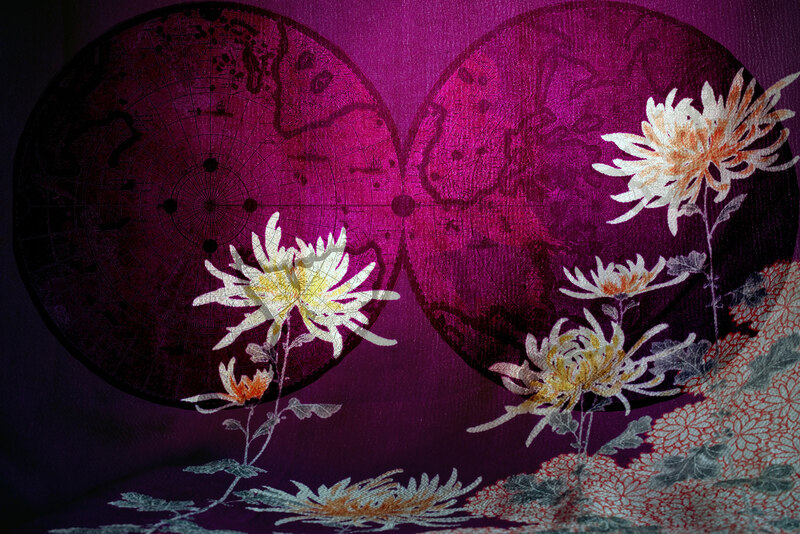 This reverence is not based on an exclusive faith, prone to reinforce discord among religions. 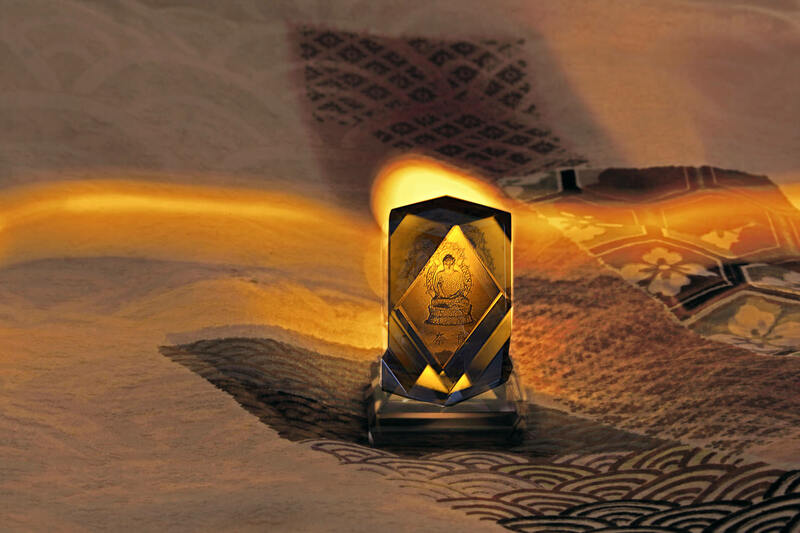 It should be seen as the peace at the end of the beacon of our spirituality. It is the awareness that we can help, support and complement each other joining our lives with others. 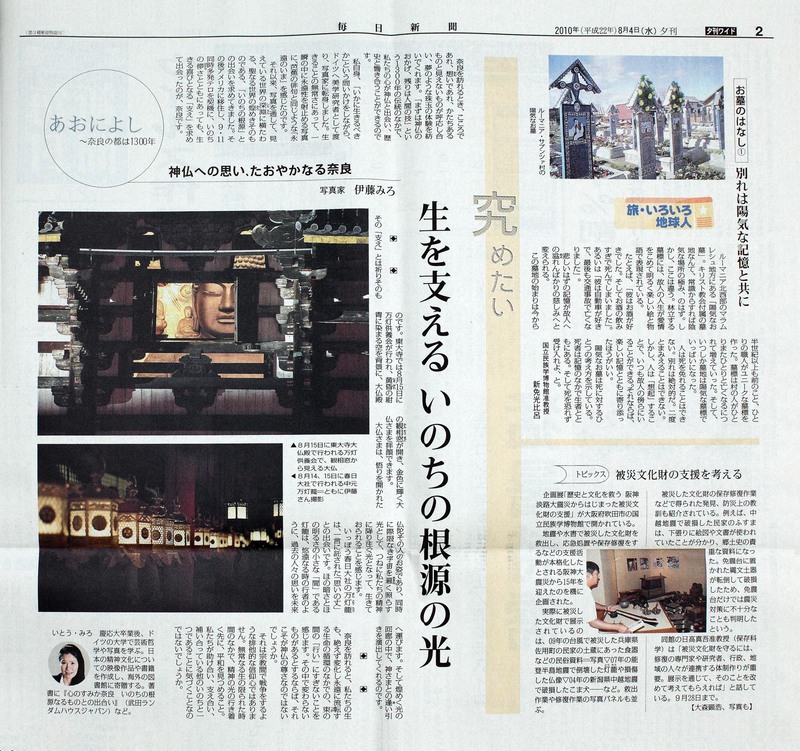 (The Mainichi Newspaper, Western Japan Edition, published in the special feature: Aoniyoshi — Nara, fomer imperial Capital celebrating 1300th Anniversary). Our humble commitment as MEDIA ART LEAGUE is to promote affirmative action, utilizing our modest abilities in order to spread sustainability awareness by reporting exemplary achievements around the globe, particularly in the architectural & urban planning and construction sectors. 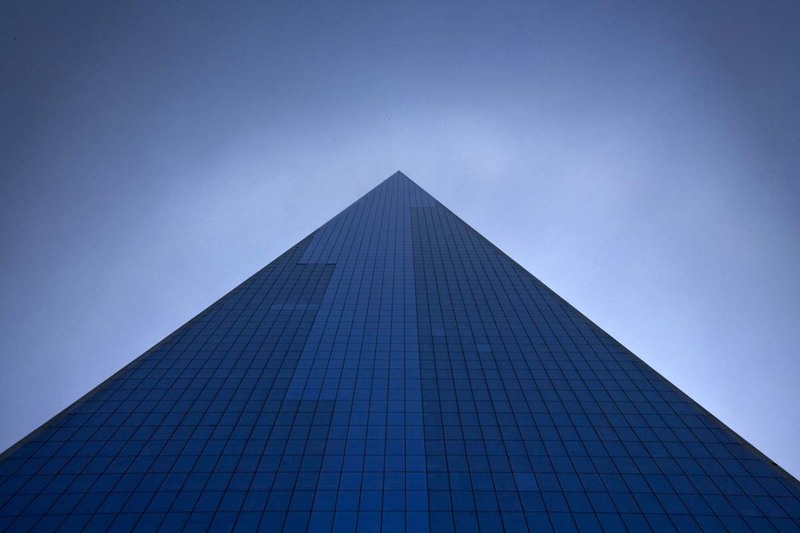 Specifically, we interview prominent opinion leaders, leading world architects, top executives, experts/professionals to identify & present their thoughts and visions ― together with outstanding examples actually being implemented and improved on a dynamic scale for a better, sustainable urban environment. 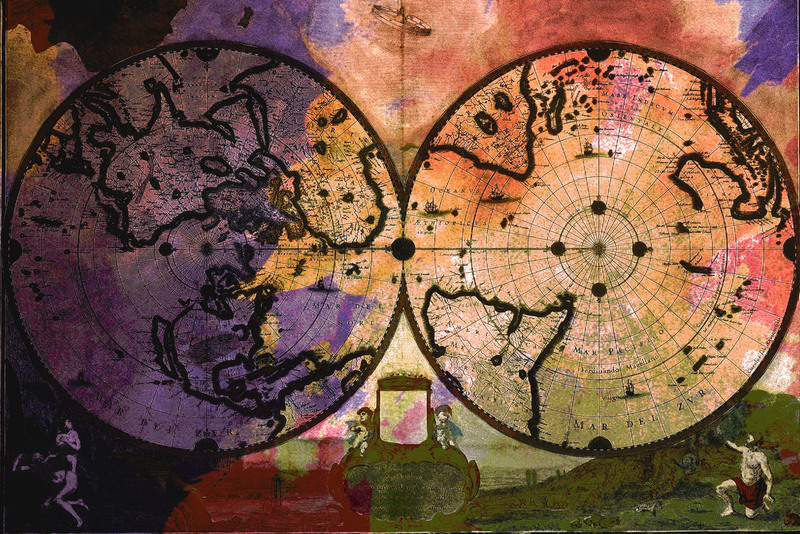 So our modest commitment will hopefully provide a beacon of awareness, insight and involvement as to what each of us can do towards a sustainable world — through technology, art and philosophy. Miro Ito and Andreas Boettcher frequently contributed articles/features to several specialty quality publications — in the NIKKEI Group (NIKKEI Business Publications) — from the early 1990s to 2000s in Europe, Japan and the Americas. Representative articles to date include: “Redevelopment of Central Berlin”, “Urban Planning in Frankfurt” (NIKKEI ARCHITECTURE), as well as redevelopment projects in Barcelona, Paris (NIKKEI CONSTRUCTION), and Toronto (OFFICE AGE, Tokyo).